Everyone needs a chance to escape every now and then. Opportunities to sit back, relax, and recuperate are few and far between in these busy times, and finding a break that suits your budget can often seem like an impossible task. If this sounds like you, look no further, as we have revealed our top five tips to help you find your dream spa break, on a budget that suits your purse! Spa Day, Or Spa Holiday? With so many options available in this day and age, you will be able to tailor your trip to suit your time, location, and budget. Your money will be able to stretch to an experience that melts all your worries away in a heartbeat. Spa days and trips really do come in all shapes and sizes, so explore your options to get a feel for what you can afford – you’ll be pleasantly surprised! Fancy A Break With Your Friends? Good news! The larger the group, the more likely it is that you will be able to find a good discount. Spa breaks often cater for hen dos, parties, and groups of friends enjoying a treat together, so deals pop up all the time for larger groups. Search for special offers, today. This is a win-win for you. You’ll be able to use your gift vouchers towards any break you fancy which means you’ll be able to afford a really luxurious stay without having to pay for it yourself. On top of this, you’ll avoid all those unnecessary gifts that end up getting recycled each year! Spa treat gift vouchers suit people with all budgets, so get your relatives to team up and buy you a gift that you really want. 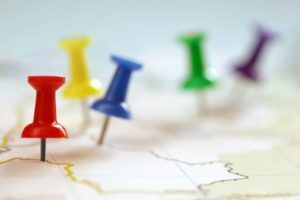 Why not follow the best deals to a new location? Hotels and resorts across the country offer deals all the time, with discounts that will definitely surprise you. Keep an eye on special offers pages, and you may even find a new city or location that you love through your spa trip. If you’re happy to travel, this trick is certainly a money saver! Signing up for email alerts will direct the best spa break deals to your inbox! Finding that ultimate budget spa break is so simple when you sign up to receive updates. You may find exciting options that you never thought you’d be able to afford, and you’ll beat the crowds to booking these exclusive deals! 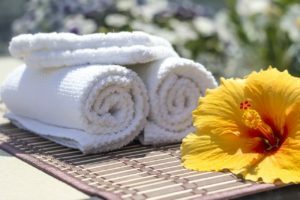 A spa day or break is much more achievable on a budget than you’d think, and hopefully, these best-kept secrets will help you to find an unforgettable spa day or holiday on a budget that suits you. Golf and spa breaks offer something for everyone and are the perfect way to enjoy an active and relaxing vacation. 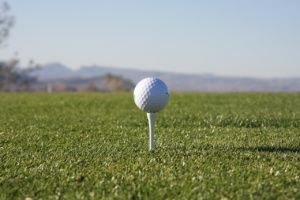 The golf enthusiast can play 18 holes on some of the UK’s most stunning courses while those looking for a more leisurely break can enjoy a little pampering in the spa. The UK boasts some of the world’s finest golf and spa resorts which combine famous courses with lavish luxury. So, which are the best spa locations for golf lovers? The Belfry Hotel & Resort is set in an idyllic 500 acres of immaculate grounds in the heart of the West Midlands. There are three golf courses at the resort and the Ryder Cup has been staged here on four occasions. The on-site spa boasts 16 treatment rooms offering a full range of relaxing treatments, including a unique Fire and Ice experience. Offering extensive spa facilities and a championship golf course which regularly plays host to the British Open, the Carnoustie Golf Hotel & Spa is set on the beautiful coast of Angus in Scotland. One of the most historic and renowned golfing venues in the world, the championship course at Carnoustie offers a true links test. The hotel boasts some impressive leisure facilities, including a large heated swimming pool, steam room, sauna and gym. The spa offers extensive health and beauty treatments including Reiki massage, aromatherapy and Indian head massage. Nestled on the edge of the Cotswolds, the Hilton Puckrup Hall Golf & Spa Hotel is home to a championship golf course and a relaxing spa. The hotel itself dates back to 1707 and boasts both modern and traditional amenities. There is a health club on site and a spa which offers a full range of treatments. Puckrup Hall is a relaxing and peaceful hotel and the golf course is home to a number of regional championships. Slaley Hall is an Edwardian mansion with 140 sumptuous bedrooms, a selection of dining options and leisure facilities. There are two championship-standard golf courses at Slaley Hall which meander through 1,000 acres of beautiful Northumberland parkland. The spa at Slaley Hall offers a variety of leisure facilities and relaxing treatments. The two golf courses at Slaley Hall provide contrasting challenges to the golfing aficionado, offering expansive views across the countryside. A four star hotel located in rural Leicestershire, the Best Western Ullesthorpe Court Hotel & Golf Club is home to a championship golf course, leisure facilities, tennis courts, a snooker room and spa. The golf course combines tree-lined fairways, slick greens and challenging contours. The par-73 layout was opened in 1976 and is built around a disused railway line which runs through the course. A golf and spa break has become a really popular choice for couples. Many deals include golf for one person and a spa package for the other. While the golf nut can head to the course, the other can relax and enjoy an indulgent spa treatment of their choice. Golf and spa breaks really are the perfect getaway and offer something for everyone. Spa breaks are all about relaxation and recuperation, but before you get to the enjoyable part, the booking process has the potential to be a stressful business! With so many choices and types of spa break now available in the UK, how do you go about booking the best outing for you and your group? In this article, we’re going to take a look at some essential steps which can help you find exactly the right spa break for you whether you are travelling alone or with your friends and family. One way to begin narrowing down the high number of spa options is to decide on your area or wider geographical region. If you are going alone or as a couple, do you want somewhere within an hour’s drive, or is your aim to get as far away from home as you can? Similarly, if you are booking for a group, are people coming from a variety of different places? If so, an area which is as close to equidistant as possible can make the most sense. So, try to select a region, a city, or a county, to give yourself a starting point. Once you know which area you are looking in, you can begin to determine the type of spa visit you want to book. Are you looking for a multiple day spa break, or are you arranging a single spa day which doesn’t require overnight accommodation? Spa breaks are typically offered in packages, and determining how long you want to stay at a spa will help you decide which kind of package is best for you. If you are planning a group day out with the intention of combining a spa day and another activity, check if you can kill two birds with one stone. You can find several spa resorts which offer other leisure activities on the same premises or nearby. Golf can make for a fun, but not overtaxing activity to combine with a spa day, for couples and groups. In the age of the internet, we have access to a range of user-generated content, and one of the most useful types is reviews. Take a few minutes to search for some customer reviews of the spa you are considering. Can you see overwhelmingly positive responses, or is the consensus markedly mixed? If a complaint has been voiced by several guests, it is worth paying attention to. Once you are ready to book, ensure you are able to do so through a platform with safe and secure payment processes. It is normal for an accredited booking site to request a small deposit when making large group reservations. Find out more information on typical booking steps, here. Once you have made your booking, you can take a deep breath and look forward to your ultimate spa break. Get in touch with us at Spa & Hotel Break to start the booking process, today. Are saunas really good for your health? Copyright Spa & Hotel Break 2015. All Rights Reserved.